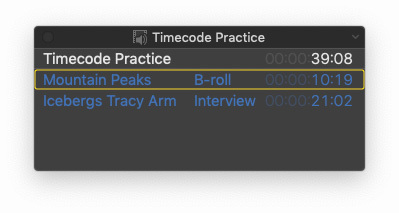 Two floating timecode windows are new with the 10.4.4 update to Apple Final Cut Pro X. One displays source timecode and the other displays project timecode. Both work exclusively with projects that are open in the Timeline. Source Timecode window. This shows the names and source timecode of all the clips at the current playhead position in the timeline, starting with the topmost clip. You can place the source timecode window anywhere on your screen and enlarge it to make it more readable. Project Timecode Window. This shows the project timecode at the current playhead position in the timeline. You can place the project timecode window anywhere on your screen and enlarge it to make it more readable. The Project Timecode window is the easiest to work with: Just open and size to suit. Choose Window > Project Timecode. Grab a corner and drag this to the size you want. Unlike most of the FCPX interface, this window floats anywhere, including over to a second screen. Click the small icon in the top right corner to adjust the opacity of the background. To close, either deselect in the Window menu or click the red “traffic light” in the top left corner of the window itself. 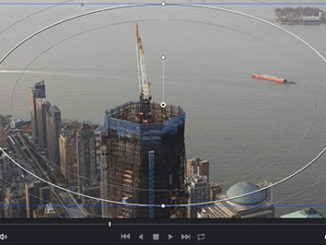 The Source Timecode window – which also floats – has many more options. Choose Window > Source Timecode. SECRET TIP: Option-click the timecode display under the Viewer to toggle the Source Timecode window on or off. Grab a corner and drag this to the size you want. Unlike most of the FCP X interface, this window floats anywhere, including to a second screen. When you select a clip, the timecode of the selected clip is outlined in a yellow box, as illustrated above. As well, the project name and timecode is listed at the top in white. To change the contents of the display, click the small icon in the top right corner. Project Timecode: Show or hide the project timecode at the top of the source timecode window. Source Timecode: Show or hide the source timecode for all the clips at the current playhead position. Clip Names: Show or hide the clip names for all the clips at the current playhead position. Clip Roles: Show or hide the assigned roles for all the clips at the current playhead position. The percentages change the opacity of the dark gray background. You can copy timecode from either of these floating windows to the clipboard. Copy Timecode: Copy the timecode for the item you clicked. 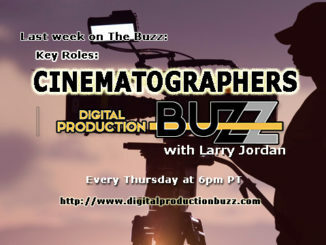 Copy [item]: Copy the timecode, clip name, and assigned roles for the item you clicked. Copy All: Copy the timecode for all items in the window. The timecode information is copied to the Clipboard. You can now paste it into any app or document that accepts text. 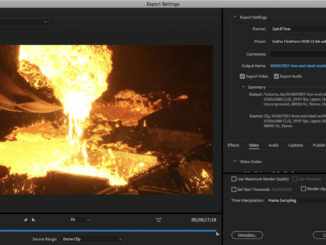 I found myself using this feature almost immediately after upgrading as I needed to match the edits between two clips. I especially like that I can float it over to my second monitor, so I can keep an eye on it, without it obstructing the main FCP X window.